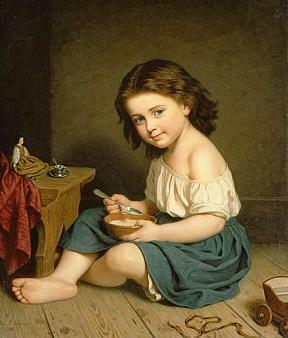 A child having breakfast. Painting by Amalia Lindgren. A child is sound asleep. A mother is playing with the kid. Natalia gave birth to a baby. Де́вушка де́ржит ребёнка на рука́х. A girl holds a child on her hands. Он спит, как ма́ленький ребёнок. He sleeps like a little baby. Переста́нь вести́ себя́ как ребёнок. Stop behaving like a child. Kids are playing in the yard.